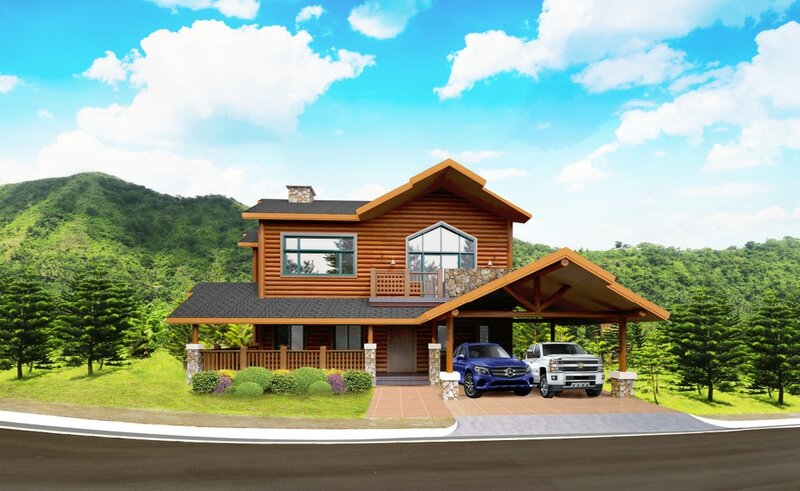 Charming log cabins set against a backdrop of mountain ranges and surrounded by lush flora — such is the scenery that greets residents of Woodlands Point, a community in the heart of Tagaytay Highlands. Located in one of the topmost elevations in Highlands, Woodlands Point is constantly enveloped in Tagaytay’s cool and misty weather and offers panoramic vistas of the Canlubang countryside, Laguna de Bay and verdant mountains in the horizon. An escape from the bustling city life, residents will live in log cabins made of Western red cedar imported from Canada. The 12-hectare property is a low-density neighborhood with only five cabins per hectare, allowing residents to enjoy their space and lush surrounding which features thousands of Norfolk pines for an authentic mountaintop ambience. Inspired by log cabins of old in North America, each home at Woodlands Point is designed with large picture windows which make it blend with the natural bounties of the Highlands countryside. Every log cabin takes homeowners to another level of luxury through beautifully designed spaces — with high ceilings in living and dining areas, spacious bedrooms with walk-in closets, en-suite toilets and baths, and a semi-furnished kitchen equipped with a complete cabinet system, refrigerator, oven, cooking range, and range hood. Homes are built to last with a state-of-the-art reticulation system for mess-free termite control log protection. Other unit features include emergency power systems, water heaters and engineered wood floorings. The Western red cedar log is decay- and insect-resistant, as well as fragrant — all pointing towards an idyllic lifestyle experience. Aside from savoring the comfort, luxury, and tranquility of the community, homeowners can enjoy the various recreational facilities at the exclusive Tagaytay Highlands Country Club. Membership to the club comes with owning a Woodlands Point home, giving residents access to world-class leisure facilities.